As Chennai continues to struggle with devastating floods and the accompanying destruction, here's a heartwarming and a courageous tale. 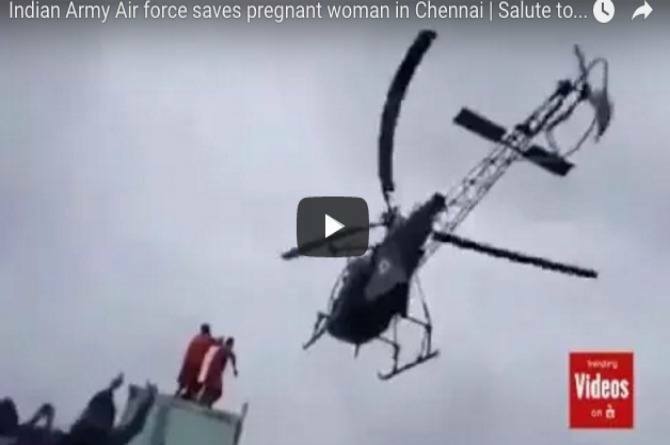 An Indian Air Force chopper is seen rescuing a pregnant woman from a rooftop. She was later taken to IAF's Tambaram base and after that to a hospital where she delivered twins. What do you think about this rescue video? Please share in the Comment box below.